¡Pronto tendremos el sitio en español! Our work is rooted in active community engagement. We believe in participating, engaging, continually learning, and showing up. We stand with changemakers – those people who tenaciously work to address root causes of social issues and dedicate themselves to creating opportunities for their fellow community members. We stand for justice in all of its forms so that every person is able to live a fulfilling, healthy, and resilient life. Our community’s most pressing problems need many voices. We collaborated with Right Relationship Boulder to mobilize the “Welcome the Arapaho Peoples Home” initiative. We are compelled to be guided from the folks who are most impacted by an issue to find the solutions. In Guatemala, we worked closely with our compañeros to develop an innovative sustainability projection that will break the cycle of dependency that they have known in their community, inspiring their local non-profit organization to be self-funded by 2025. Noticing - and acting upon - whose voice is not being heard, who is not seated at the table, or who is not invited is central to our value of inclusion. We worked with the Just Transition Collaborative to integrate community members in the Climate Justice Assembly that will prioritize the activities of Boulder’s Climate Action Plan. We recognize celebration as a form of resistance, in that finding time to laugh, share, and play can honor our shared humanity. So, yes we are known to throw a birthday party or a baby shower in the Barn that involves tres leches cake and spontaneous poetry. We are founded upon the principle that we need to bring our whole selves into what we do. We seek to invite union and solidarity into our everyday interactions and our initiatives. 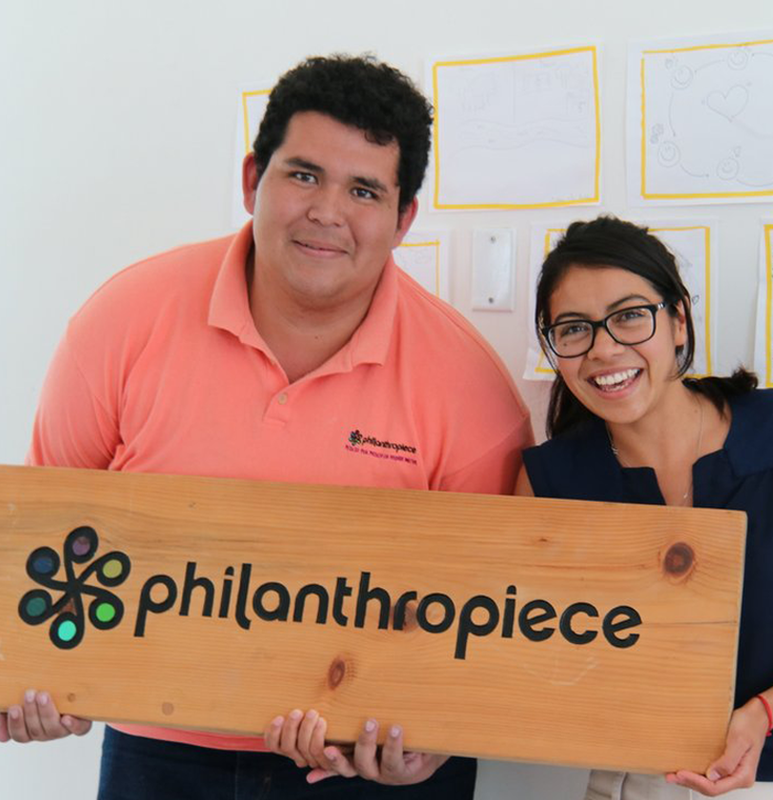 We look at Philanthropiece as a philosophy, a way of life characterized by doing good work, being passionate, making friends, and having fun along the way. Through building deep and authentic relationships, we empower changemakers around the world to co-create resilient communities. We envision a world in which all individuals realize their full potential and act on their capacity to create positive change in themselves and in their communities. Our work is deeply rooted in the unique needs of the communities we serve, and what we do emerges directly from the initiative of those who live there. We focus on uplifting changemakers who are at the forefront of projects, initiatives, coalitions, and movements that positively shift our collective view and experience. Since our start, we have believed that a connection between local and global communities makes us more aware, prepared, and impactful. While we are located in three places, we are united under the same mission and vision. We train Mayan youth to become conscientious leaders, engaged citizens, and powerful changemakers. We do this through a University Scholarship Program, a Social Entrepreneurship Cultivator, and by offering holistic personal and professional development services. Filantropis ONG is fully directed led and operated by Chajulense youth changemakers. Our work in Colorado is rooted in social justice. We offer our resources, our experience, and our solidarity as we work alongside changemakers to co-create communities that are based on decency and integrity. Our work involves themes of economic justice, climate justice, immigration rights, indigenous rights, LGBTQ+ allyship, and youth engagement. Our civil association in Mexico is focused on strengthening the resilience of communities. We do this through our foundational programs, Community Savings Groups and Financial Education. We train community members to come together to save, to provide small loans to one another, to engage in income-generating activities, and to support their neighbors via a social fund.